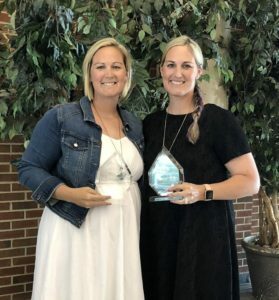 Through their years of dedication to the games of fastpitch or slowpitch, these individuals have all made significant impact on high school softball in North Carolina as well as on the many players they have been involved with directly, or indirectly. In their own ways, they have contributed greatly to the growth and evolution of the game that we enjoy today. The North Carolina Softball Hall of Fame hereby bestows the recognition they deserve. Derrick’s philosophy, “success is determined by how well the girls do AFTER they leave”, is part of what has made him outstanding as a teacher, mentor, and coach. Through his skillful approach during their impressionable years, his students and players typically achieve much success in their later endeavors. Former players have gone on to play softball at the college level at rates seldom seen from small rural high schools such as his. Derrick’s involvement with softball in North Carolina has not been limited to his own program. 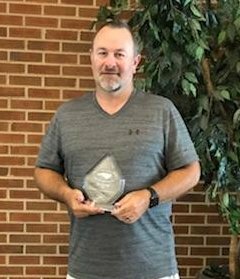 A founding member of the North Carolina Softball Coaches Association, Derrick served as District 7 chairperson during the organization’s early growth and was instrumental in establishing strong support for softball from coaches throughout his region. 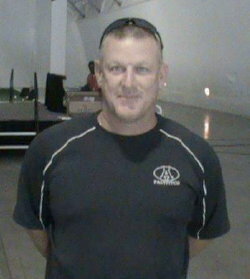 Derrick volunteered his assistance during the establishment of the first State Games showcase competition for North Carolina high school softball, serving as Region 7 underclassman and seniors coach during the first four years of that event. The Ervin twins began their long dedication to softball as a very successful pitcher/catcher battery at North Mecklenburg High School. Moving as juniors to the new Hopewell High School they led the school’s first softball team to back-to-back North Carolina state championships. Joining NC State University’s inaugural softball team, they had a dramatic impact on the new program as they were key in propelling the Wolfpack to its first ACC championship by year three. After stellar careers as players, Miranda and Shaina devoted their talents to coaching, serving on a variety of staffs at the college level. Today, they have joined forces and created their T2 Softball Training facility and program. T2 Softball, located in Burlington NC, supplies a much needed resource available to aspiring young softball players. Few coaches have had such an impact on their program in so short a time. 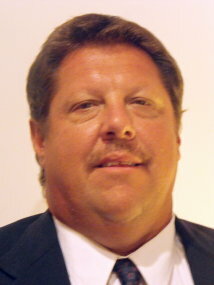 After taking over the Central Davidson program in 2000, Gene was able to convert what had been an average program into a conference winner by his third season and a state contender by his fifth season. In 2008 his team was one of only two North Carolina high schools to be recognized nationally in fastpitch softball by USA Today/National Fastpitch Coaches Association polling. He has had numerous players go on to be successful college players. 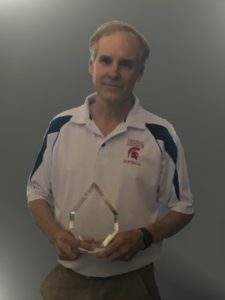 At one time or another during his thirty year teaching career, he also coached football, basketball, baseball, and cross country, as well as serving as the school’s athletic director. 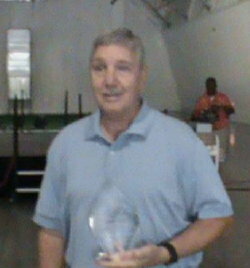 In 2013, Gene joined a small group of unique and highly honored individuals in his community when he was inducted into the Davidson County Sports Hall of Fame. 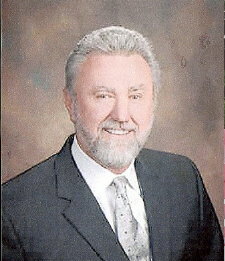 A founding member of the NCSCA, Gene served as its first District 5 chairperson and played a key part in the creation of the first All-State selection process in North Carolina for fastpitch softball. He was the Region 5 and Seniors State Games head coach during the Powerade State Games’ first two years of high school all-star competition. Mike has been a moving force in the athletic programs of the three high schools where he has taught and coached during his 33 year career. His time at Burlington Cummings involved him as an assistant coach in three state championship teams. Then, moving to Chatham Central, he guided the Bears’ softball program to being a competitive force in their conference including two conference championships and numerous state playoff appearances. After retiring from Chatham Central, Mike took up the challenge once again and is now in the process of rebuilding the softball program at River Mill Academy. Since the association’s early days, Mike has been an enthusiastic supporter of NCSCA. He recognized early on, that not only does North Carolina high school softball need coaches to sign up and be members, but it also needs members who are willing to roll up their sleeves and jump in to physically help run things. His involvement with the association has included serving as its secretary, then as its president during a time of change and increase in membership. North Carolina high school softball has benefited greatly through his willingness and ability to work as the association’s spokesperson with both North Carolina Amateur Sports’ State Games and the North Carolina High School Athletic Association. 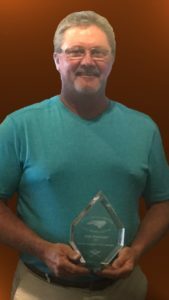 Jim has been an important part of the North Carolina Softball Coaches Association since he joined as a founding member in 2004. He has been instrumental in the development of the processes that give the organization its ability to consistently carryout its affairs. He continues to be heavily involved in the behind-the-scenes work that takes place but is rarely publicly apparent. As a member of the Central Davidson high school softball staff, Jim has been a cornerstone of the continued development of their fastpitch program. Beginning in 2001, Central Davidson softball developed rapidly into a powerhouse that has included three state championships and several final four appearances, as well as winning numerous conference championships. Jim is a key part of a coaching staff that over the years has developed numerous outstanding players, including several who have been very successful at the college level. During his notable career in the United States Air Force, Chief Gerald participated in military fastpitch softball leagues as much as his spare time would allow. During that time he learned the art of pitching. After retirement from active duty in 1996, he took a job as ROTC instructor at North Davidson High School. It wasn’t long before he was drawn to North Davidson’s softball diamond where he began to help out with training the school’s pitchers. His military experience, personality, and knowledge of pitching rapidly lead him to become an excellent instructor. Chief Gerald’s love of the game and his desire to teach young people have motivated him to utilize every opportunity to further understand the mechanics of pitching and advance his teaching skills. He has attended countless clinics and developed important contacts throughout the world of fastpitch. Today, he is recognized as one of foremost pitching instructors in the United States. His former students include some of the most well-known and most successful high school pitchers that North Carolina has produced. One can find his current students in starting positions on many high school and middle school teams in the central North Carolina region. 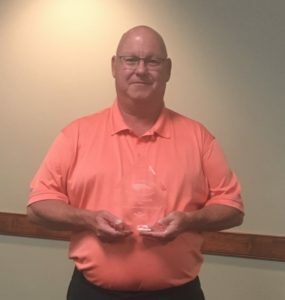 Chief Gerald’s efforts at and beyond North Davidson High School have played a very important role in the growth and success of fastpitch softball in North Carolina. from slowpitch to fastpitch in North Carolina high school athletics. 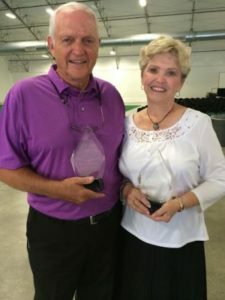 Buck and Judy were the driving force behind the inception of an organization known as the North Carolina High School Girls Fastpitch Softball Association. Against formidable odds their group began, fought, and won the battle to bring women’s fastpitch softball to high school athletics in the state of North Carolina. By 1989, North Carolina was one of only two or three states that at the high school level, still played slowptich softball rather than fastpitch. Colleges all played fastpitch, meaning the opportunity for North Carolina’s young women to win scholarships to play college softball essentially did not exist. So Buck and Judy began writing letters and organizing meetings to initiate change. In the early 1990’s, they presented numerous requests with sound justification to the softball rules committee of the North Carolina High School Athletic Association in the face of courteous indifference from the administrators in charge at that time. During 1991-1993 they wrote countless letters and succeeded in getting numerous high school and college coaches involved in their effort. Still the authorities showed no desire to make changes. In early 1994 they made an appeal to the U.S. Department of Education’s Office of Civil Rights to enlist help under Title IX. In the fall of 1994, fastpitch softball began as an option along with slowpitch in North Carolina high schools. In 1996, NCHSAA eliminated slowpitch in favor of fastpitch. Today, high school fastpitch in North Carolina has advanced to the forefront of softball as a national sport. Our athletes play the game as well as any in the nation. Thanks to something that Buck and Judy started and pursued with persistence, North Carolina women have the opportunity to compete and can be found on the rosters of college softball teams all across the southeast and the nation. More than a decade after her high school career ended, her name remains at or near the top in more than a dozen categories in the North Carolina High School Softball Record Book. To have achieved this level of skill at a time when high school fastpitch in North Carolina was still in its infancy is quite remarkable. Crystal’s achievements as a player continue to be a set of goals every young pitcher in North Carolina strives to attain. While a tiny handful have reached this elite level, the vast majority have not. • 1996 team finished 3rd in state playoffs. Over the years, Chip has been a teacher of the game to both players and coaches. He brings a maturity to the game that is greatly needed for the success of softball in the state of North Carolina. The one thing that cannot be overlooked is how much the players respect and love having him as a coach. His ability to have two way communication with his players extends beyond softball… this is the most important character strength of all. George, an exemplary coach, teacher and person, has the respect and love of his former players, and the respect and admiration of coaches he has mentored and competed against. George is an ambassador for the game of softball and strives to improve his and others experience in the game. Dan Honeycutt dedicated his career to help the children of Harnett County receive the best education possible. 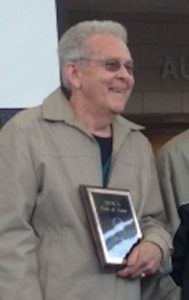 Mr. Honeycutt was instrumental in starting girl’s softball in the Carolina 1-A Conference in 1974. He started the softball program at Coats and Triton High School. It is certain that the game of softball in Harnett County and North Carolina are better because of the contributions of Dan Honeycutt. • Has been involved in sending many players to the next level including players he never coached. • Started and operated the popular North Davidson Softball Camp for over 20 years. The camp attracted young players ages 5 and up from all over the region. • Also coached wrestling (14 yrs. ), football (10 yrs. ), and track (2 yrs.). 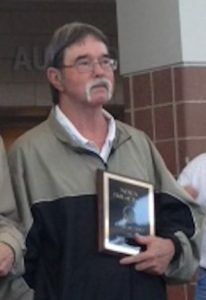 Mike was the head softball coach at North Davidson High School from 1978 – 2017. His tenure with the softball program was one of tremendous success with numerous conference championships in addition to his frequent final four appearances at the state level. 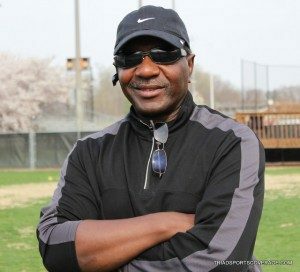 He was an ambassador for the game of softball in North Carolina and throughout the United States, developing extensive contacts nationwide through his active involvement in both NCSCA and NFCA. 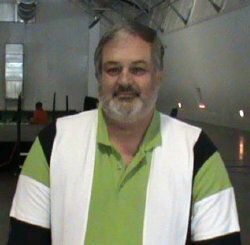 Mike was a founding member of NCSCA and was a tremendous motivator in the organization from its founding in 2004 until his untimely passing in 2017. He played a major role in developing NCSCA’s partnership with North Carolina Amateur Sports in order to bring about the State Games post season showcase competition for high school softball in North Carolina. • 35 former players played in college, with numerous becoming college or high school coaches. 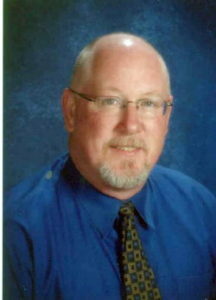 Eddie was the softball coach at South View High School for many years. His success as coach was well documented on the field. His impact and relationships with his players has been just as impressive. Gerald has been at Chatham Central since 1977. He was the softball coach from 1977 until 1999. The gymnasium at Chatham Central was named after him. He is greatly respected by past players and opponents. 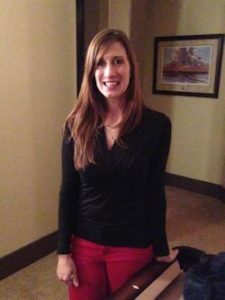 • Founding member of NCSCA and served as its president from 2004 until 2010. 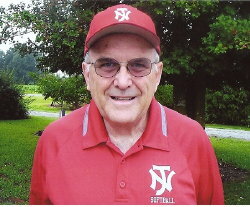 Eddie “Pop” Rivers was a major driving force behind the establishment of the North Carolina Softball Coaches Association. As the President of the organization from October 2004 to 2010, he has helped create an organization that has been an advocate for young women playing softball in and around North Carolina. Pop was instrumental in getting the State Games to include softball in their annual event, which allows countless girls an opportunity never before given to them. Because of Pop’s tireless efforts, NCSCA has been able to give North Carolina high school softball coaches and players a voice recognized throughout the state that helps promote their safety and best interests. In addition to that work, Eddie headed a successful softball program at Forest Hills High School from 1984 until he retired in 2014. 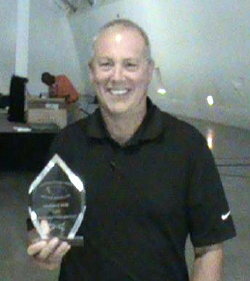 Monte has guided two high schools to phenomenal success with tremendous impact on the young ladies he has coached. He has been an ambassador for the game of softball in North Carolina and the nation. Monte has been selected to speak at numerous clinics for coaches and players. He has been tireless in developing young talent. He ended his high school coaching career in 2015 when he accepted the position of head coach at his alma mater Pfeiffer College.